We Sell The Perfect Sunshade That You Would Love! The aesthetic of the outside of your building plays a significant role in how much customers you have. The better looking your building is, the more attractive it is for consumers. The more consumers you attract, the more successful you become! Sundance Architectural Products is here to make that happen, Orlando! We offer the perfect sunshade that will compliment your business. It is essential to understand the difference between sunshades, canopies, and awnings. We also offer exterior metal wall panels that will also complement your building. In the late 1800s, awnings gained national appeal as striped canvas shades became a popular way to dress up Victorian homes. 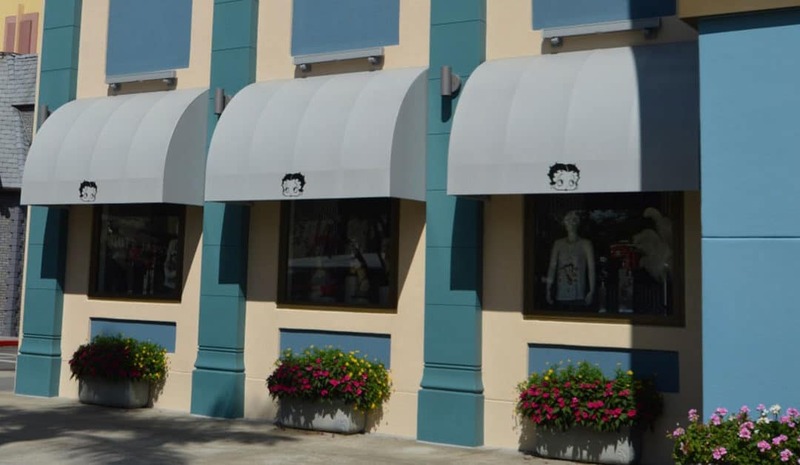 By the 1940s, fabric awnings were replaced by aluminum as other factors began influencing sun control solutions including style, durability, and price. This still holds true today. Now, awnings are primarily used for aesthetic reasons, helping to break up a commercial design by adding pops of color and different size and shape elements between other types of sun control methods such as sunshades and canopies, which are primarily used for purposes beyond aesthetics. With the advent of today’s environmental concerns, the need for canopies has strengthened, and the development of sunshades was born. With a focus on sustainability practices, architects and developers turned to sun control products that support energy efficiency. This was the birth of sunshades. Sunshades were expertly engineered to dissipate solar radiation while enhancing natural daylight, the interior’s atmosphere, and visibility. Sunshades are typically employed for both form and function. They are used for both purposes of sustainability and design aesthetic. Canopies, too, are used for these two reasons, but there is one thing that sets the two sun control solutions apart. Sunshades have many similarities to canopies in appearance. They are generally flat in shape. They differ greatly as they are not impenetrable structures. Sunshades allow filtered light and precipitation through them while canopies are solid structures. This makes them the perfect choice for a sun control solution that also provides ample protection against inclement weather. We also sell exterior metal wall panels. Give your business the benefit of a sunshade. You get a chance to beautify your business. Companies and industries across the country are already doing it, so why haven’t you? Since 1984 Sundance Architectural Products has been employing industry leaders dedicated to providing superior quality turn-key solutions through custom design, manufacturing, and installation of commercial awnings, canopies, solar shade systems, and exterior metal wall panels. We are here for you! Call us today for more information. We are the best awning company in Orlando.